Laura Clark is Senior Vice President of Capital Markets for Regency Centers. She manages the financial and operational aspects of Regency's co-investment partnerships, investor/lender relations and certain investments, among others. Laura joined Regency in 2012 to lead Regency's Financial Services West Coast team from Los Angeles. 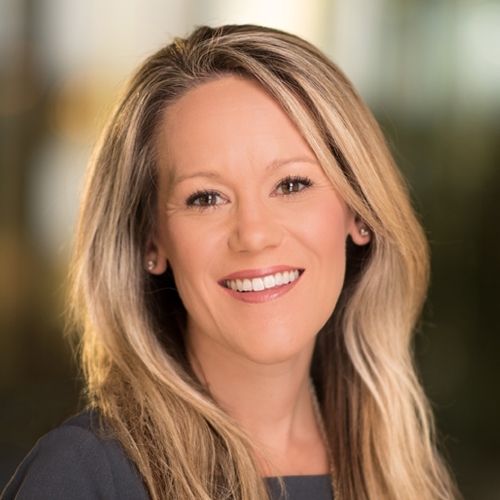 Under her leadership, Laura’s team has consistently delivered best-in-class transaction support and value-add financial reporting to the entire west coast leasing, investments and operations teams. She combines a diverse background, which includes experience as a REIT equity analyst, with a strong financial acumen, the ability to digest complex concepts and overall creativity. Before Regency, Laura led the strip shopping center retail research coverage for Green Street Advisors and aided in institutional sales. Previously, she served as Vice President at Inland Capital Markets Group, completing more than $1.5 billion in acquisition-related activity. She was also a foundational member of Iron Tree Capital, responsible for managing capital market activities, underwriting and transaction analysis. Laura earned her Master of Business Administration from Ball State University in Muncie, IN. She also holds a Bachelor of Science in finance from DePaul University in Chicago and is a Chartered Financial Analyst (CFA). Laura enjoys spending time with her husband and sons, rooting for the Georgia Bulldogs, and outdoor activities such as running, hiking, golfing, skiing and traveling.